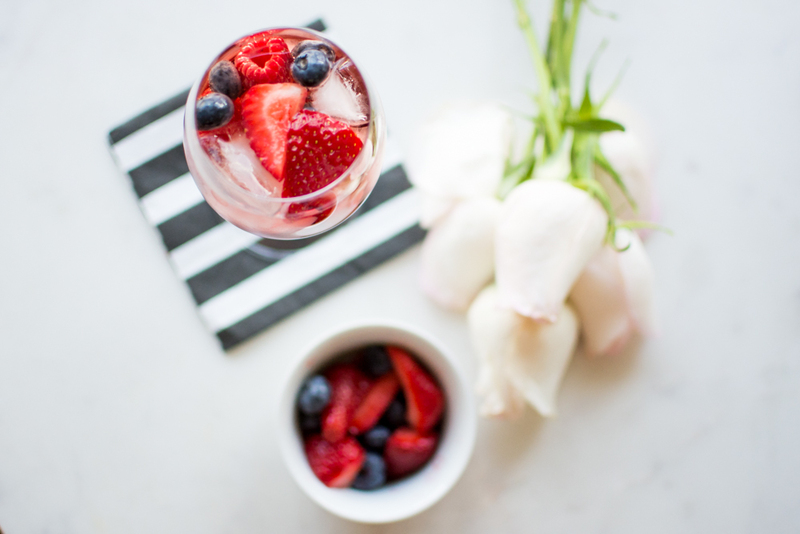 Easy Single-Glass Rosé Sangria | La Petite Noob | A Toronto-Based Fashion and Lifestyle Blog. Those of you who have been with me since the beginning, or follow me on Instagram know that I'm no stranger to a good cocktail. What you may not know about me though, is that I have a tendency to be extremely lazy. Case in point, take Sangria - the quintessential summertime drink, but who has the time or patience to let the wine-based cocktail sit for the allotted amount of time? Don't even get me started on being trusted around an entire pitcher of Sangria. My solution to this is my tried and true one-glass Sangria recipe - or as I like to call it 'The Lazy Girl's Sangria.' This twist on the classic cocktail is delicious, beautiful to look at and takes all of 2 minutes to make. Read on to get the step-by-step instructions. Load your wine glass up with some ice. 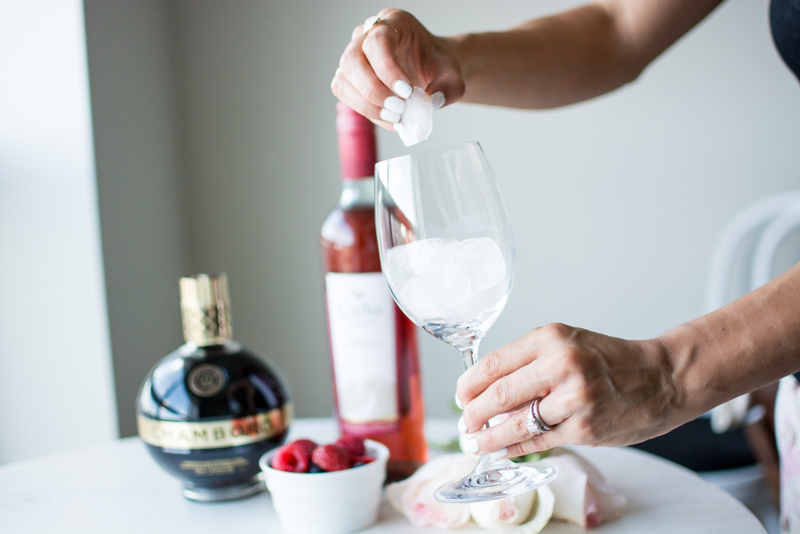 Pour in one ounce of Chambord liquor. This delicious raspberry liquor adds some much-needed depth to the cocktail. 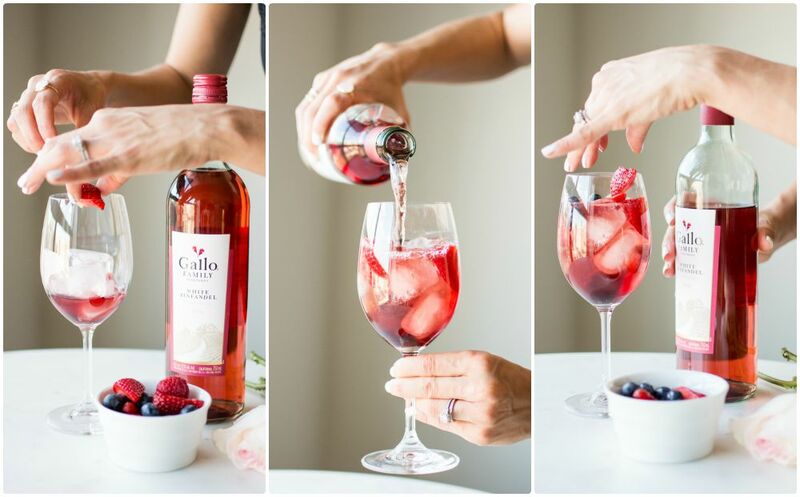 Load up your glass with fruit, and then pour in your sweet rosé wine. I usually add more fruit to the top once the wine is poured - it adds so much to the aesthetic, and I absolutely love eating the sweet wine-soaked fruit after the sangria is done. Now you're well on your way to crafting your very own lazy-gal cocktail. So pretty and easy, right? Go ahead and whip up a glass of your own, and let me know what you think! This is so perfect for a simple summer dinner at home! Will be testing this out this weekend! Pretty photos, too. Thanks Gabriella, let me know how it goes! YAY! 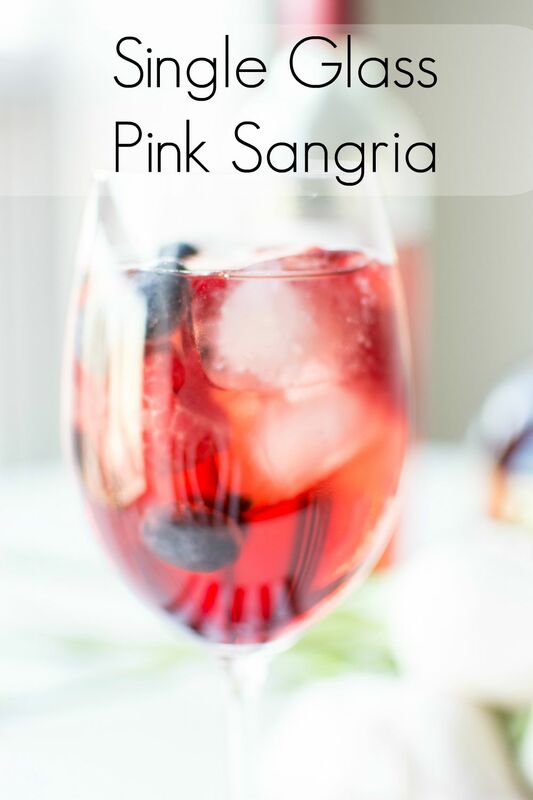 Let me know how you like the Sangria - Cheers! I like your style - a fancy drink in a hurry! Looks great!